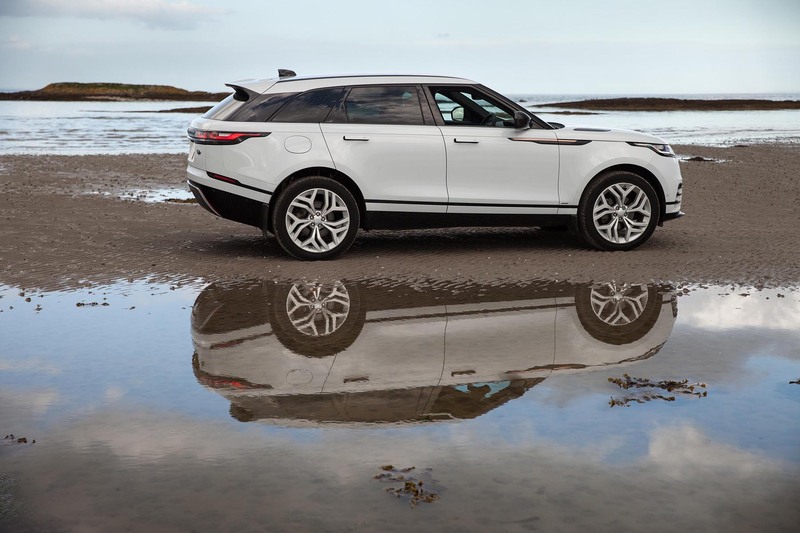 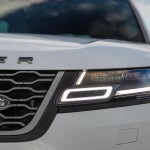 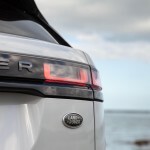 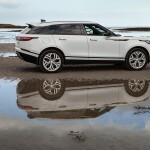 Welcome to the Range Rover Velar, an SUV pitched as the ‘avant-garde’ of four models on offer, the all-new ‘Range Rover Velar’ introduces new and experimental ideas to the Range Rover family. 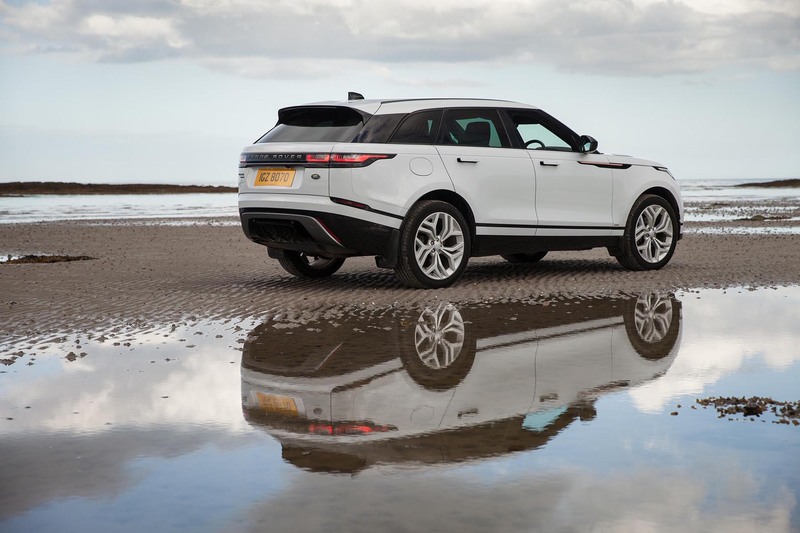 Think of the ‘Range Rover’ as the daddy figure of the family (pricing from £81,900) with mummy being the ‘Range Rover Sport’ (pricing from £64,085) whilst the ‘Range Rover Evoque’ is the daughter (pricing from £31,505). 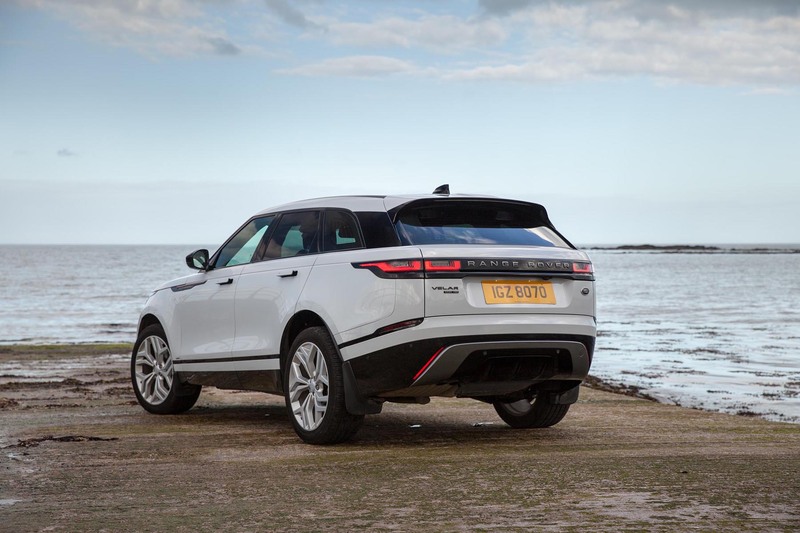 Well at long last a son has been born into the family in the guise of the ‘Range Rover Velar’ and with pricing starting from a rather sensible £44,735, and with emissions from as little as 142g/km with a claimed, combined economy from an incredible 52.5mpg it seems appealing. 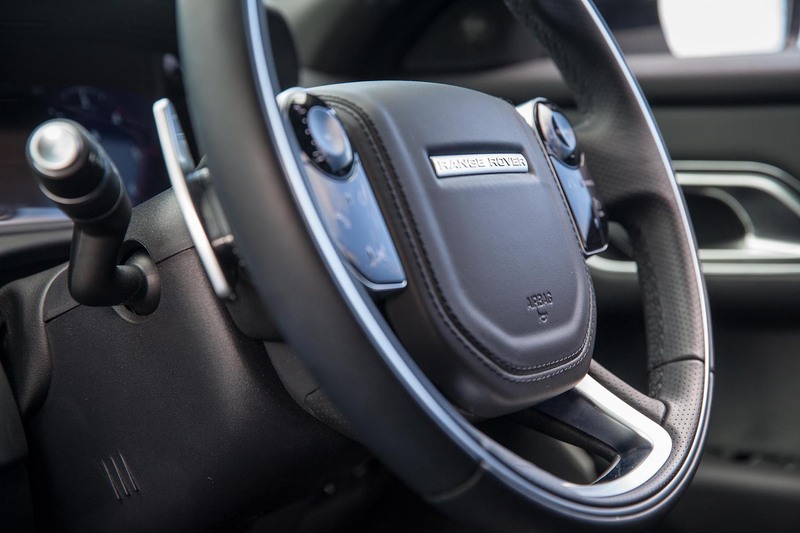 The Range Rover Velar’s interior is a calm sanctuary, created through elegant simplicity and a visually reductive approach, with design enabled technologies like the Touch Pro Duo infotainment system. 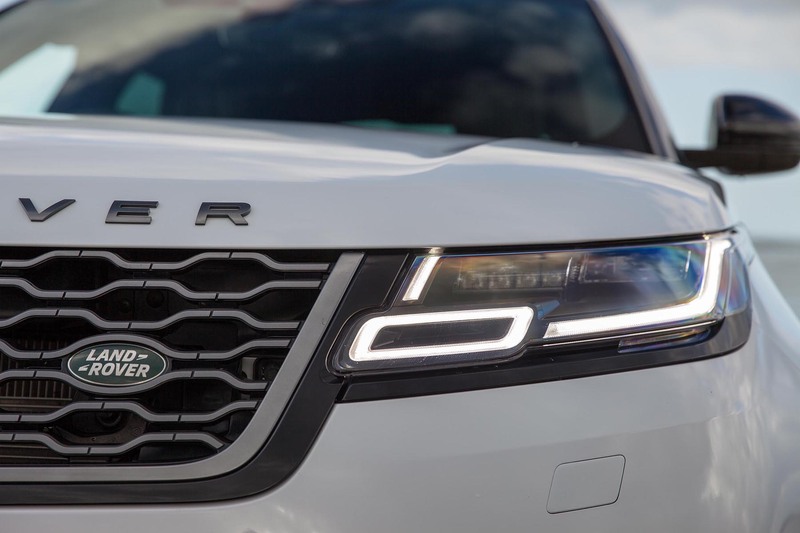 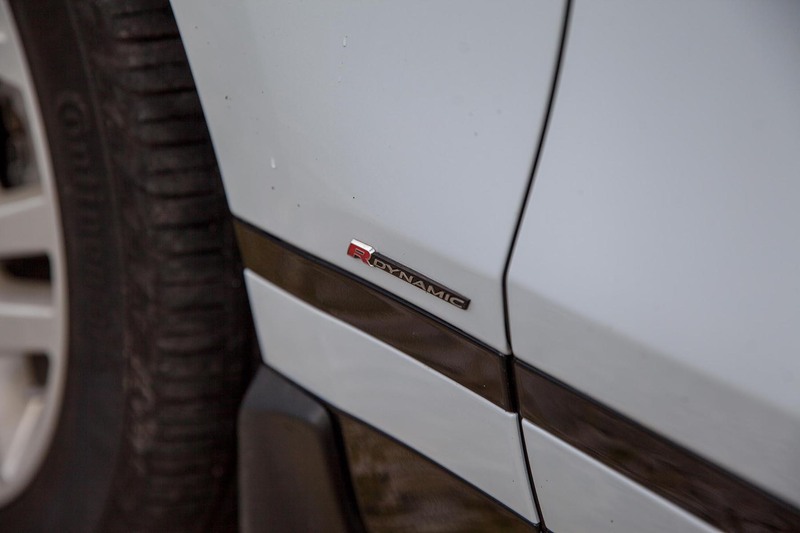 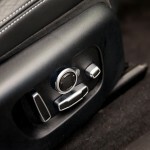 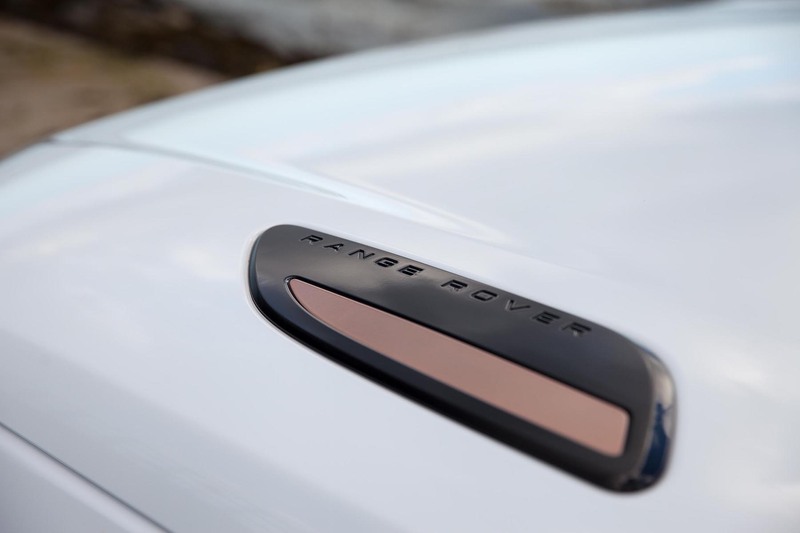 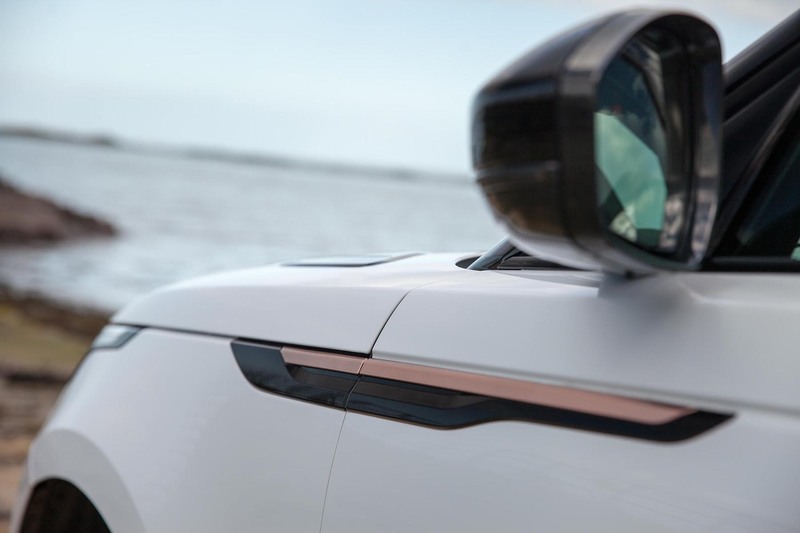 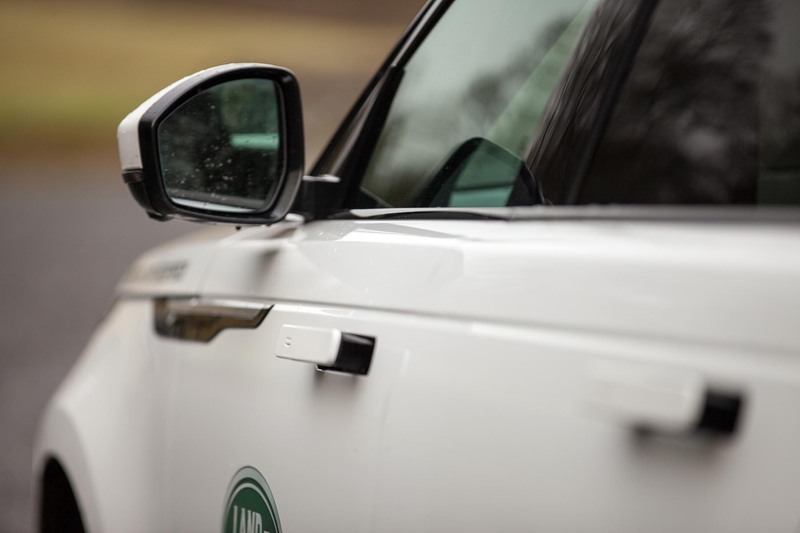 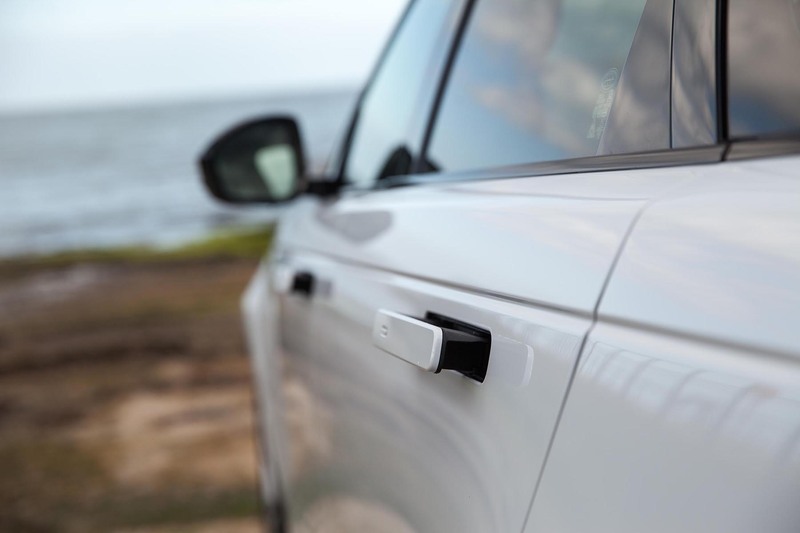 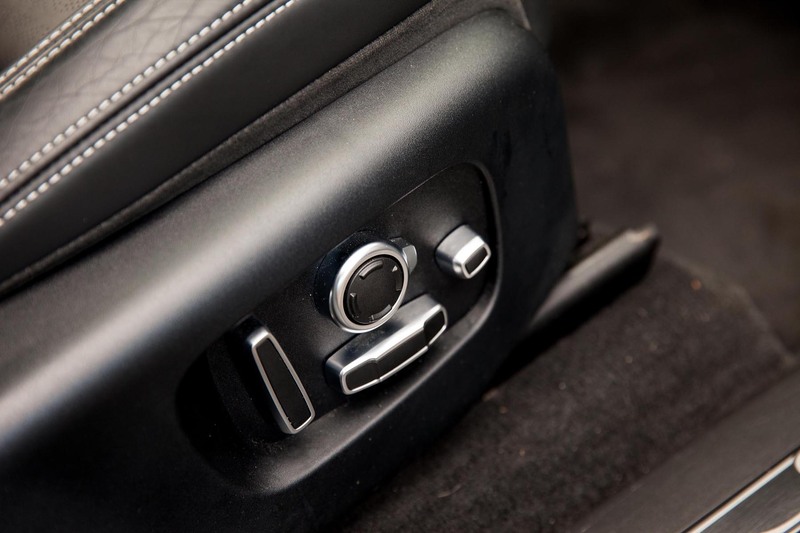 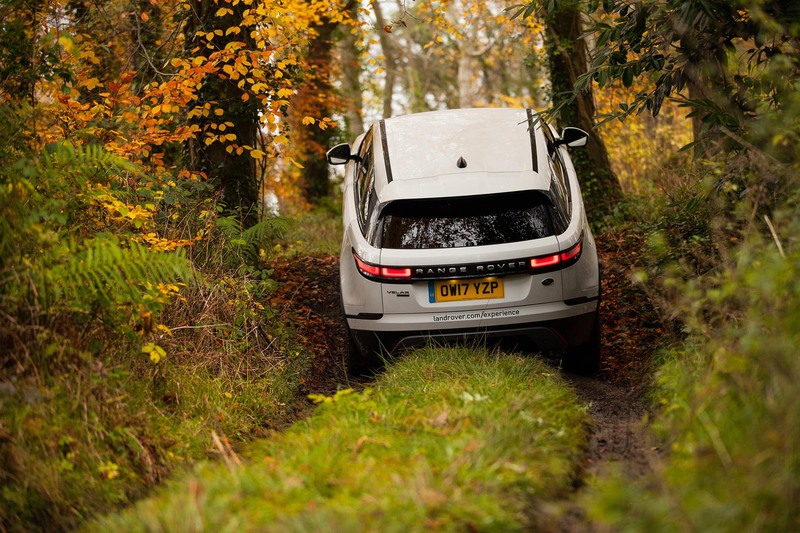 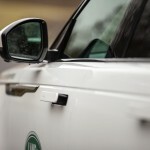 All-LED lights and deployable flush door handles on the exterior complete a truly compelling design and, of course, it’s a Land Rover with unrivalled capability in all conditions. 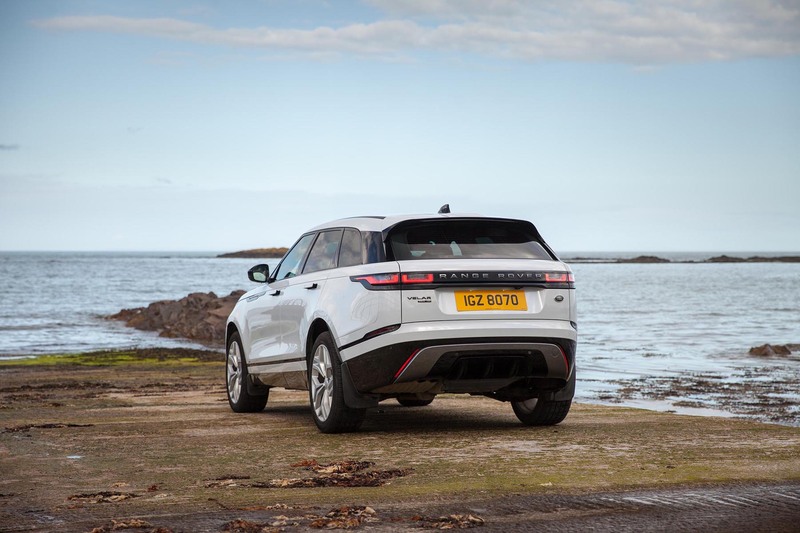 Being sized between the Evoque and Sport models, the Range Rover Velar puts up direct and stiff competition against the likes of the Jaguar F-Pace, BMW X4 and Porsche’s Macan, in the premium SUV category, with the added heritage of off-road ability, something the others simply don’t have. 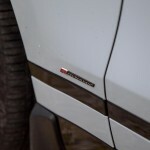 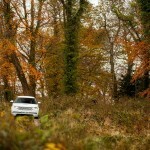 Stylish, luxurious, full of technology, agile on-road and unstoppable off-road, that is what we are accustomed to with the Range Rover brand and having driven the car a few times, thanks to Land Rover Belfast | Charles Hurst on the Boucher Road, I can assure you that the British firm have raised the bar higher than ever. 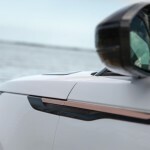 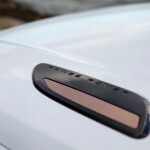 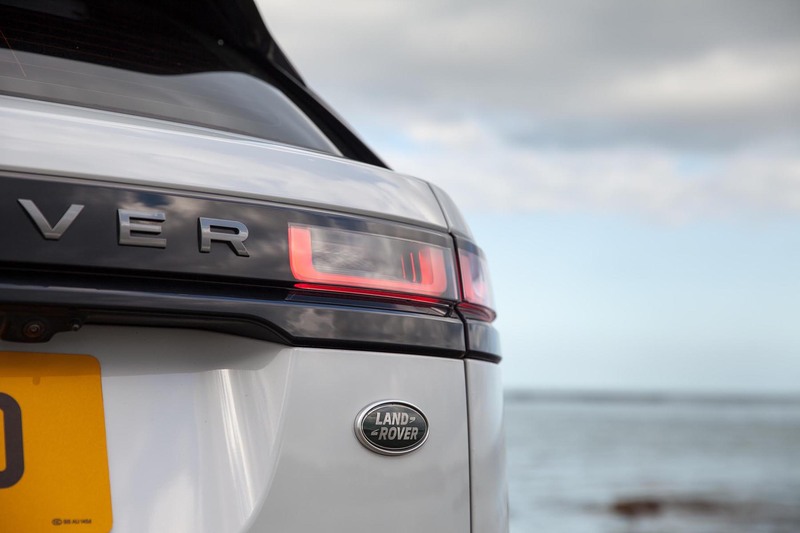 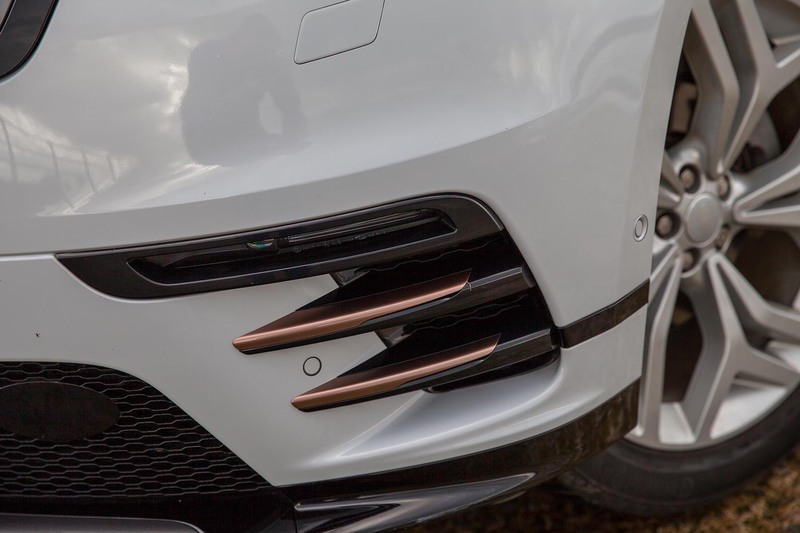 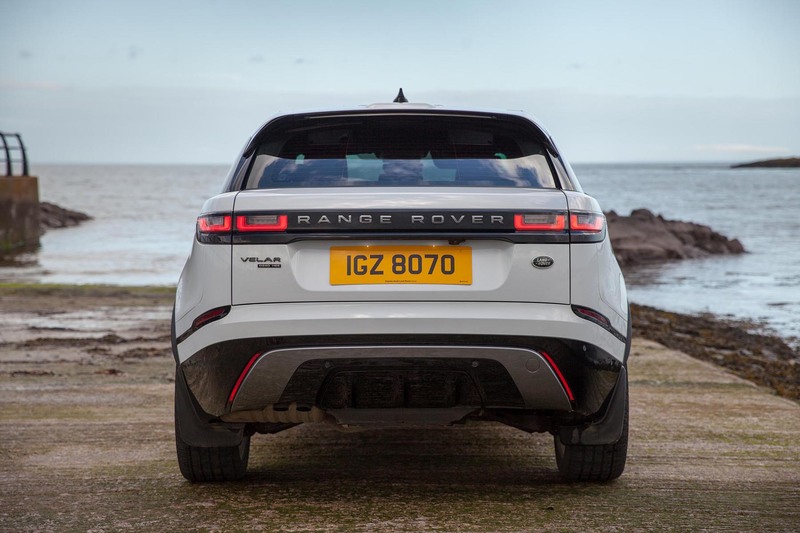 The overall looks of the Velar are unmistakably Range Rover, however the low slung roof and sleek styling really do set it apart from the rest with revolutionary design incorporating flush deploy-able door handles and an integrated rear spoiler all to improve aerodynamics. 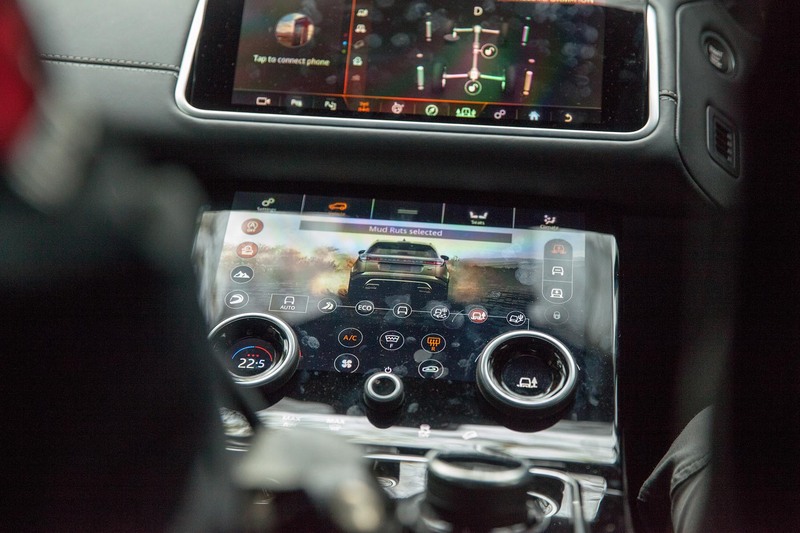 Inside the Velar is as luxurious and calm as expected while the Touch Pro Duo infotainment system beautifully integrates two 10” High-definition touch-screens. 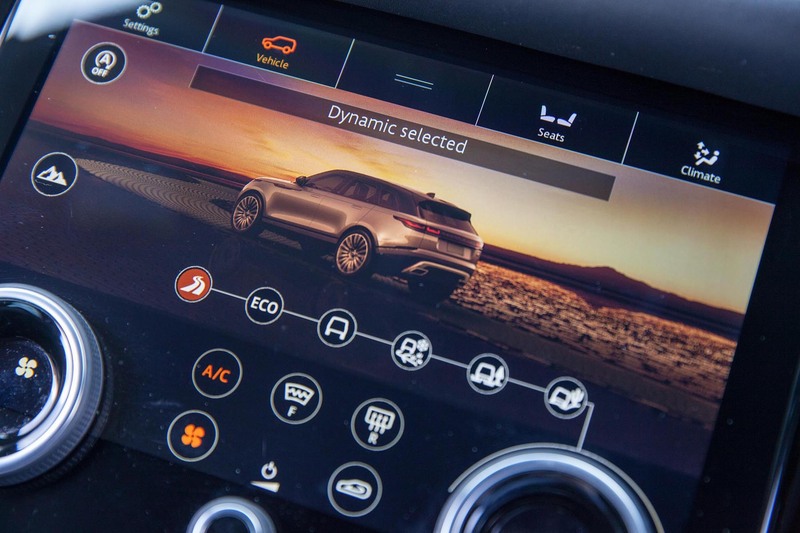 You can use Touch Pro Duo together with the optional full-colour Head-up Display and optional Interactive Driver Display, to simultaneously view and interact with multiple features at once. 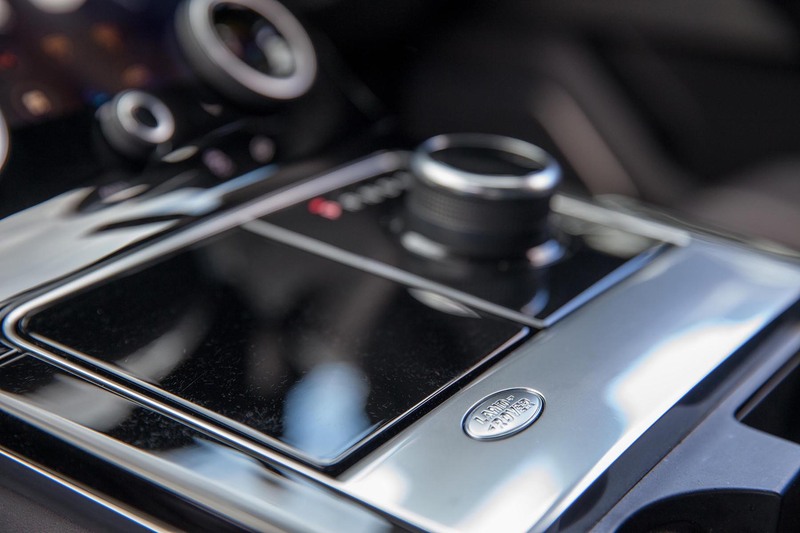 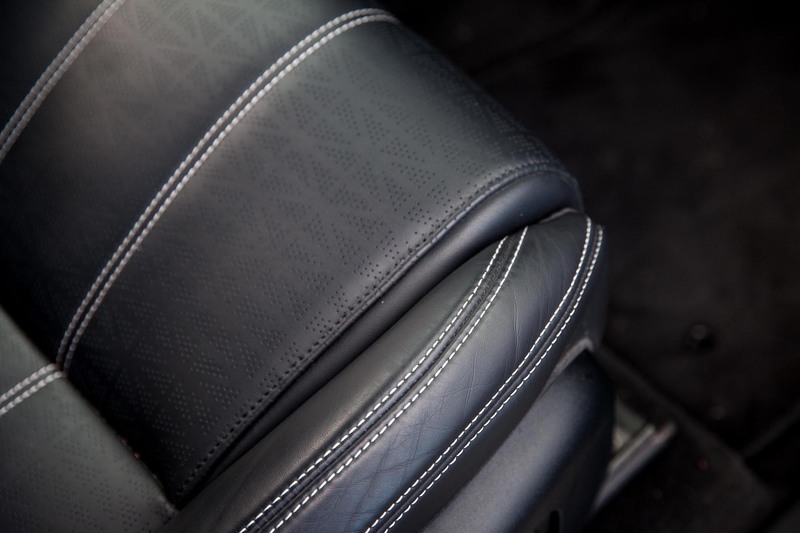 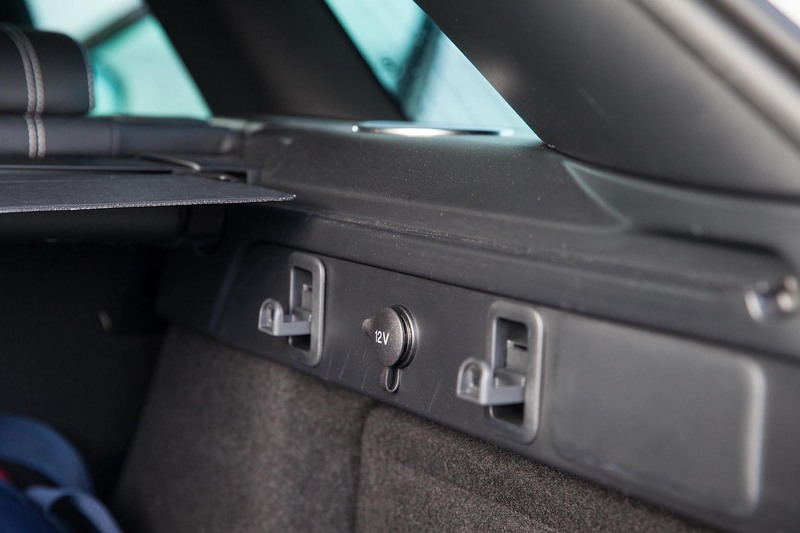 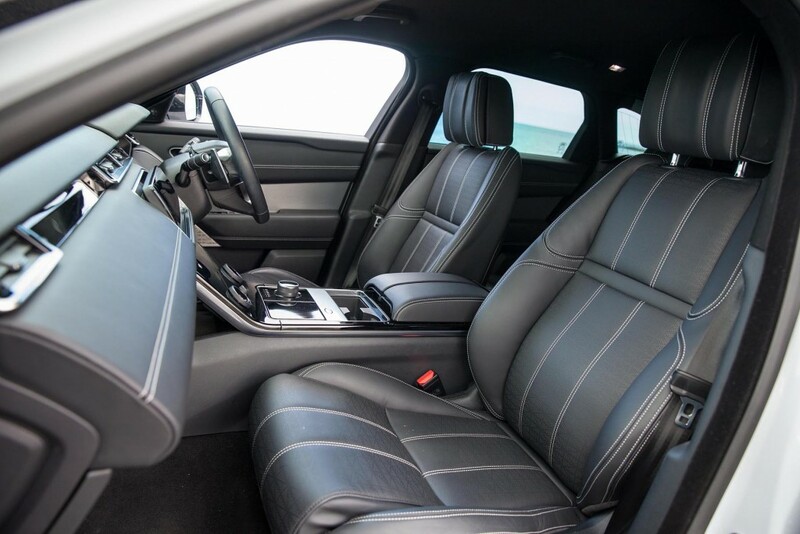 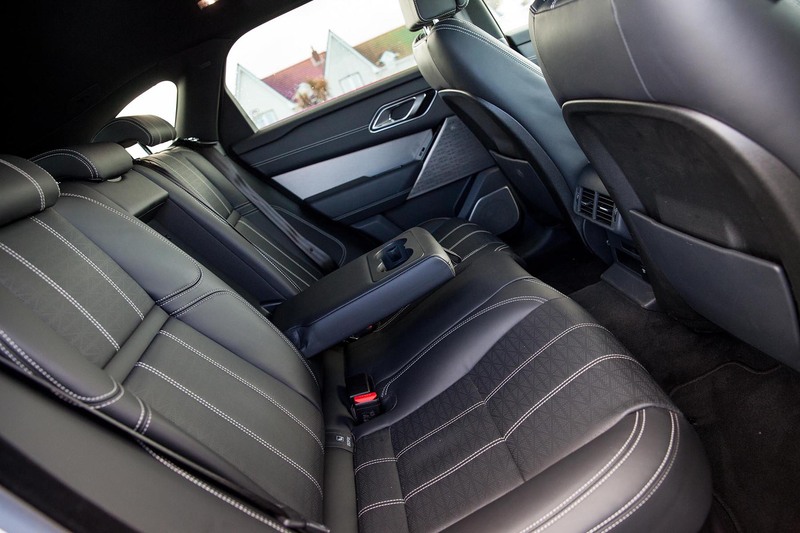 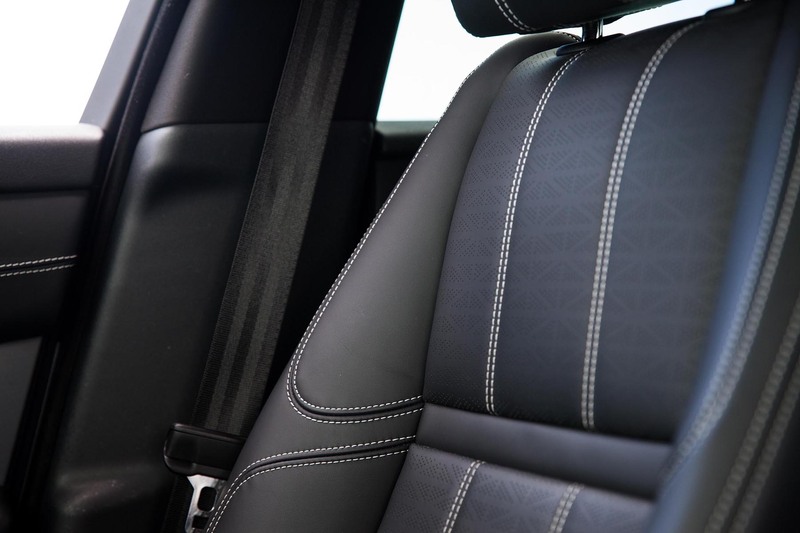 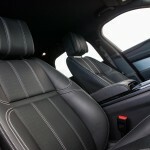 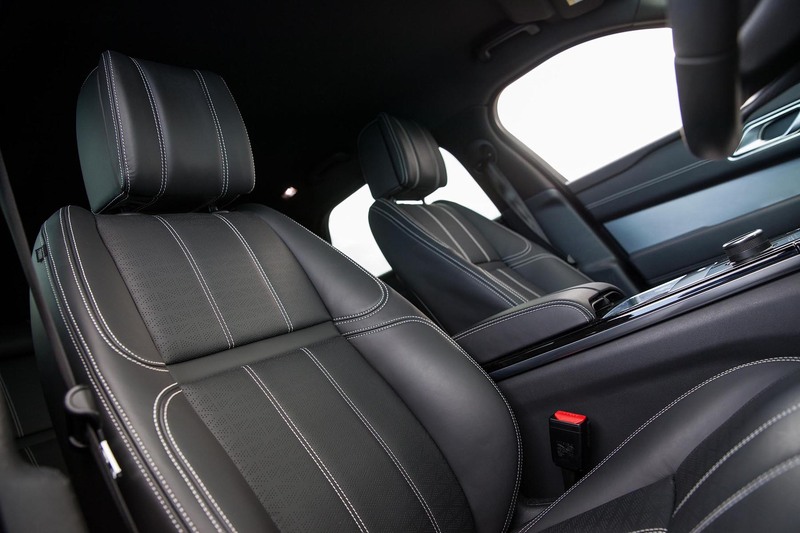 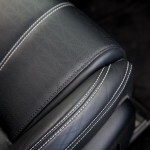 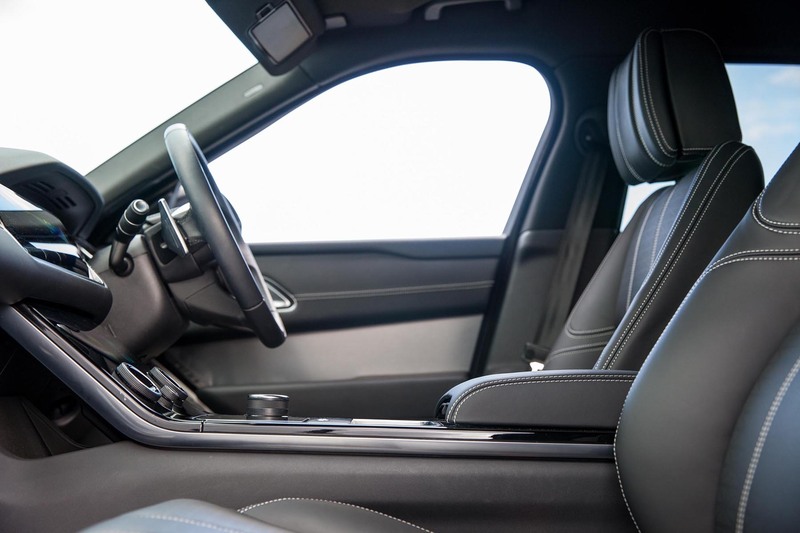 Premium materials feature throughout the cabin with heated and cooled seats being optional for the front row of seating, as well as the outer rear seats, making life within the Velar no matter the weather, comfortable, especially when combined to the climate control system throughout the cabin. 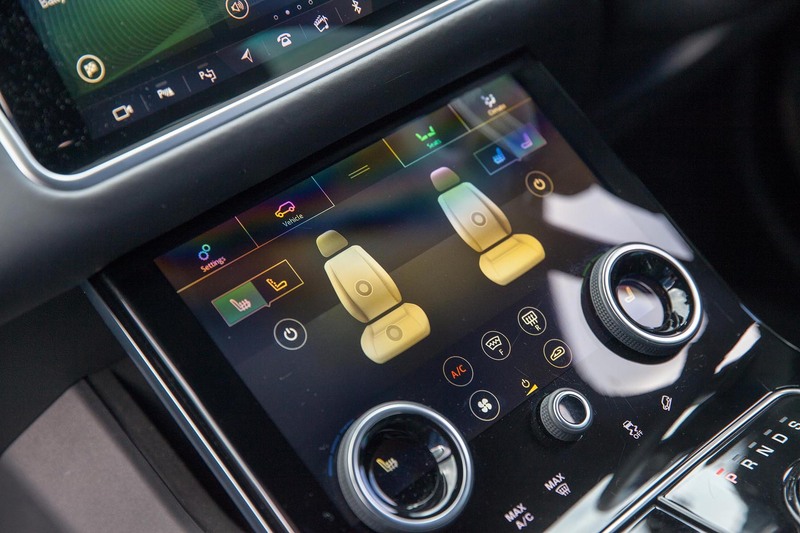 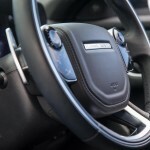 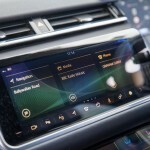 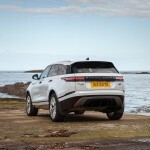 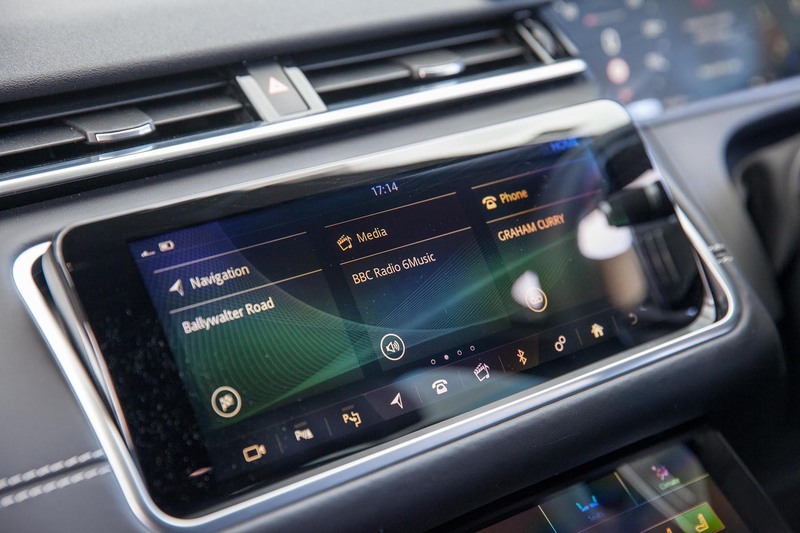 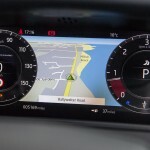 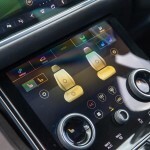 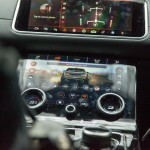 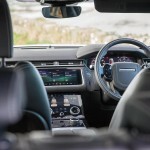 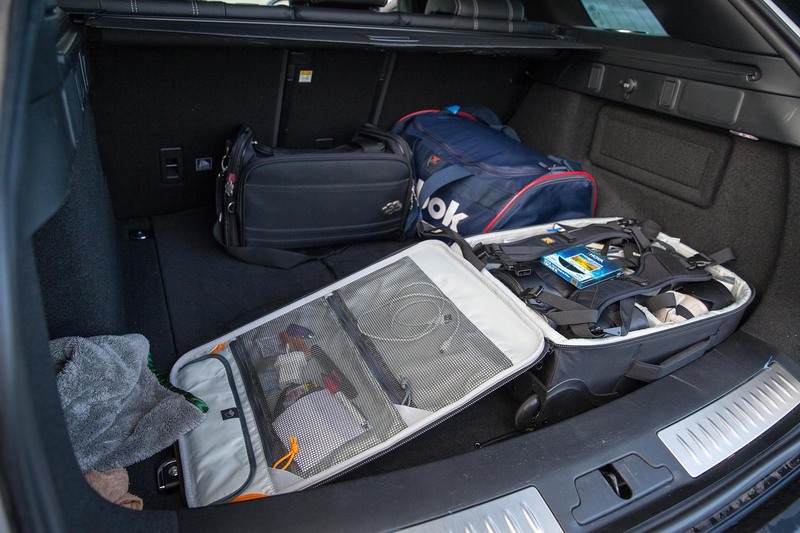 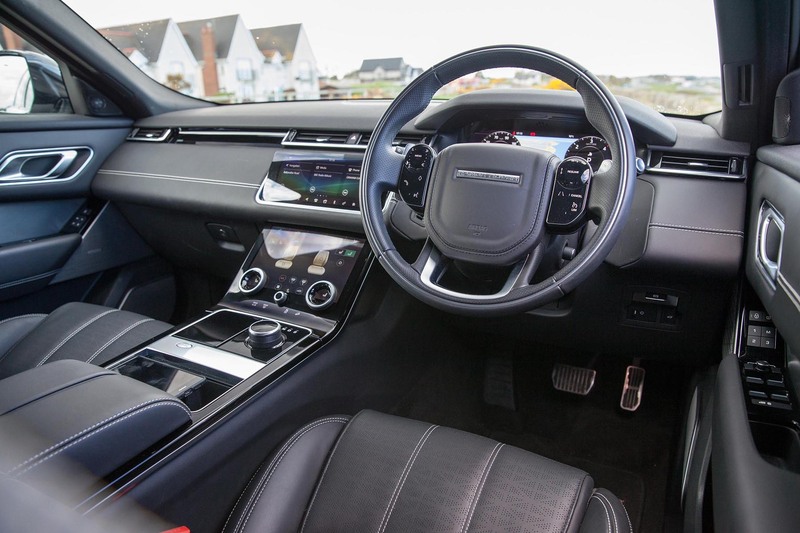 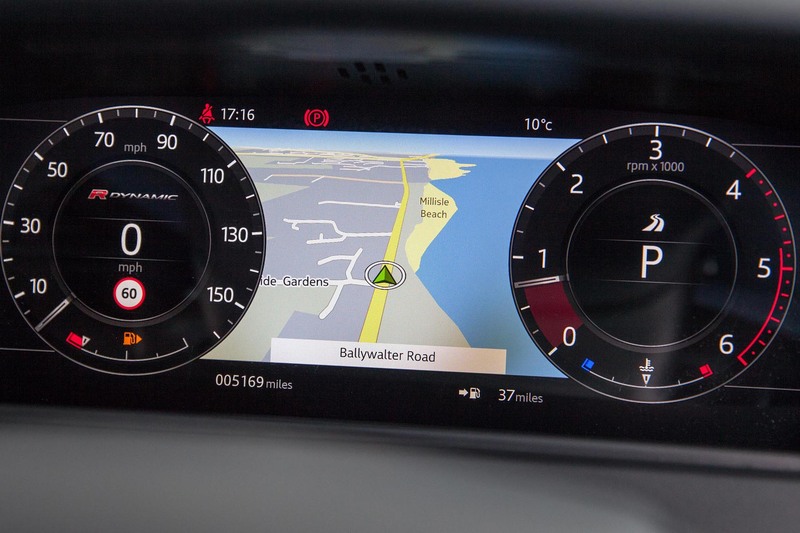 Upgraded audio options are in abundance from British experts Meridian with three systems being available above the standard range Rover set-up, with a plethora of connectivity, optional rear screens, and apps available to integrate you seamlessly from your phone to the Velar. 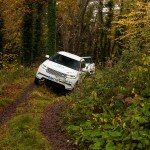 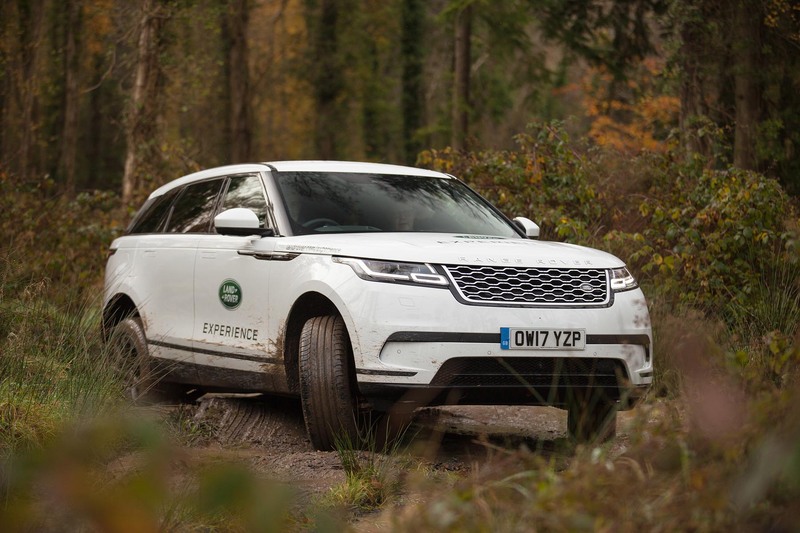 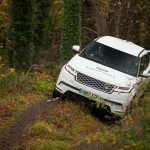 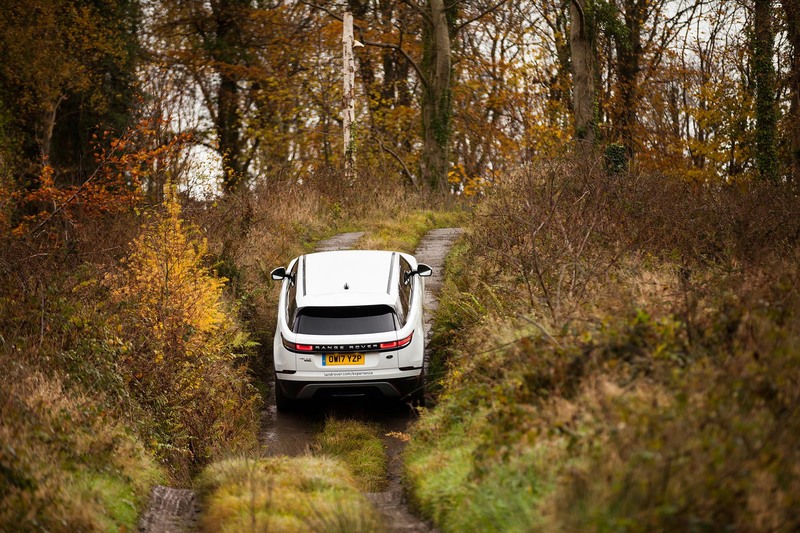 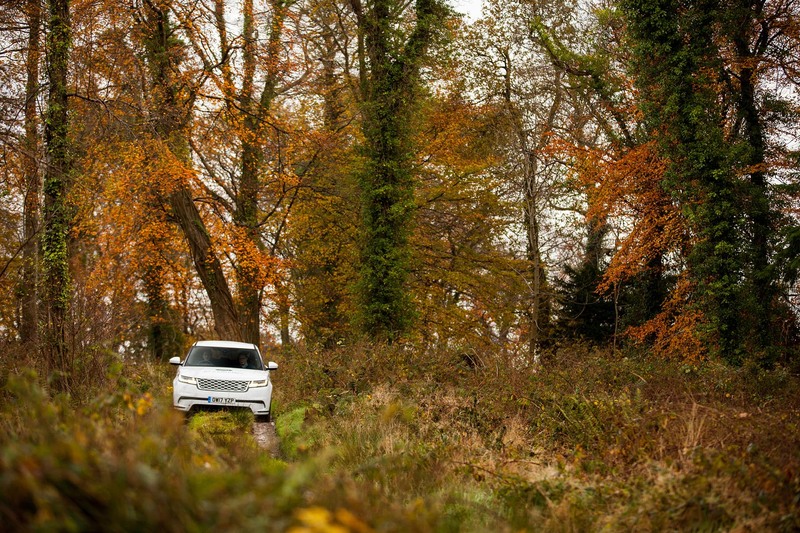 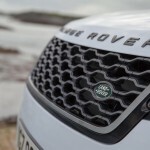 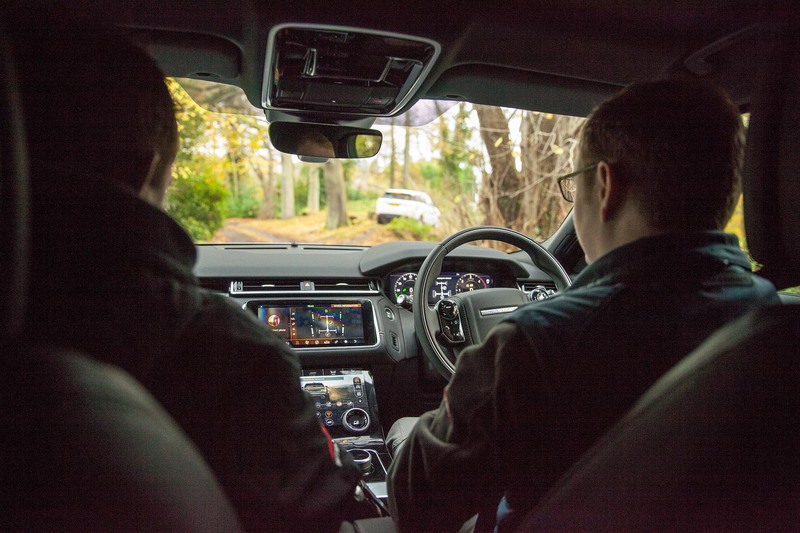 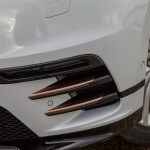 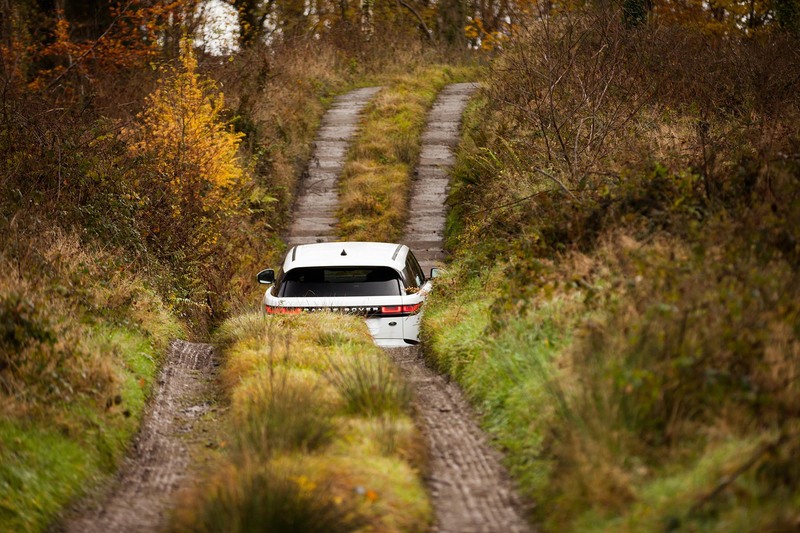 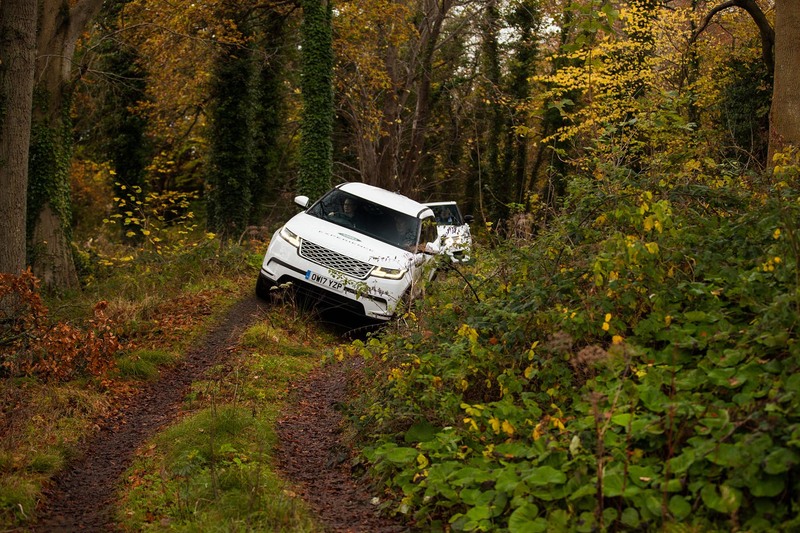 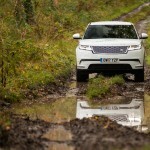 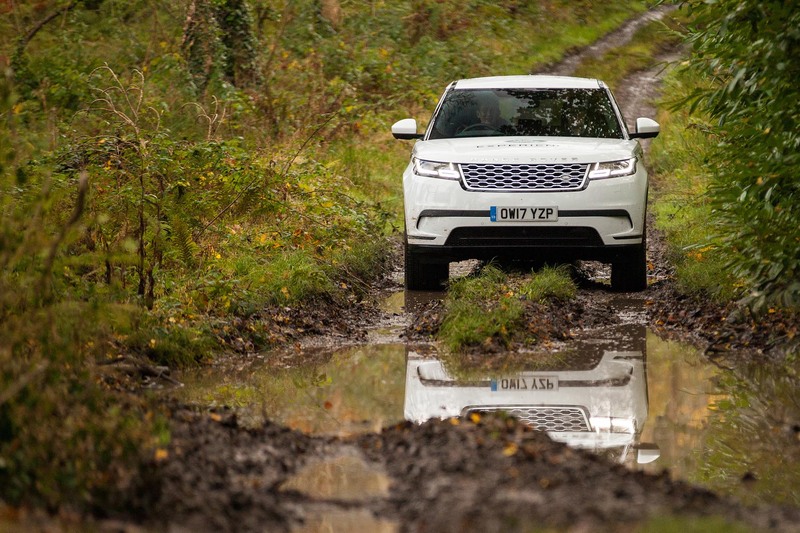 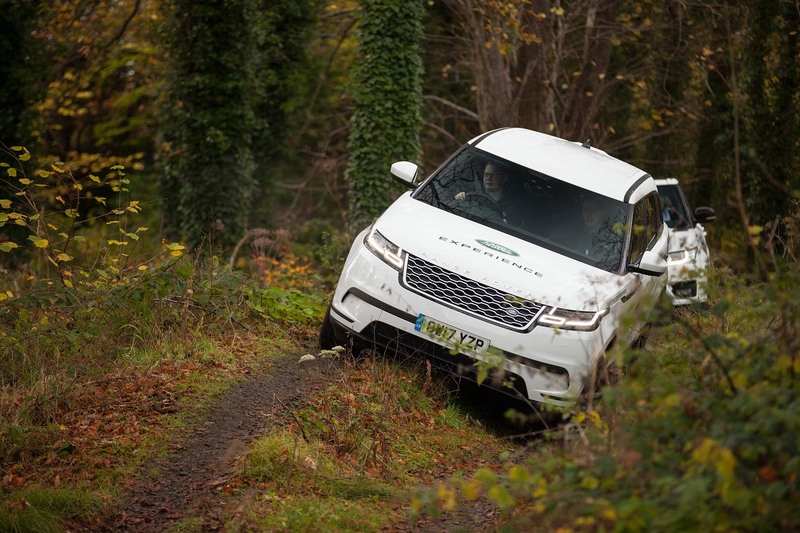 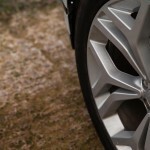 With a permanent four-wheel-drive system, the velar has capability at its core with Intelligent Driveline Dynamics (IDD) and Torque Vectoring by Braking delivering an engaging, thrilling drive and having spent a morning with the Velar around the tracks of Ireland Offroad Experience in Clandyboye Estate, Bangor, I can confirm that nothing was to stand in the way of this plush SUV. 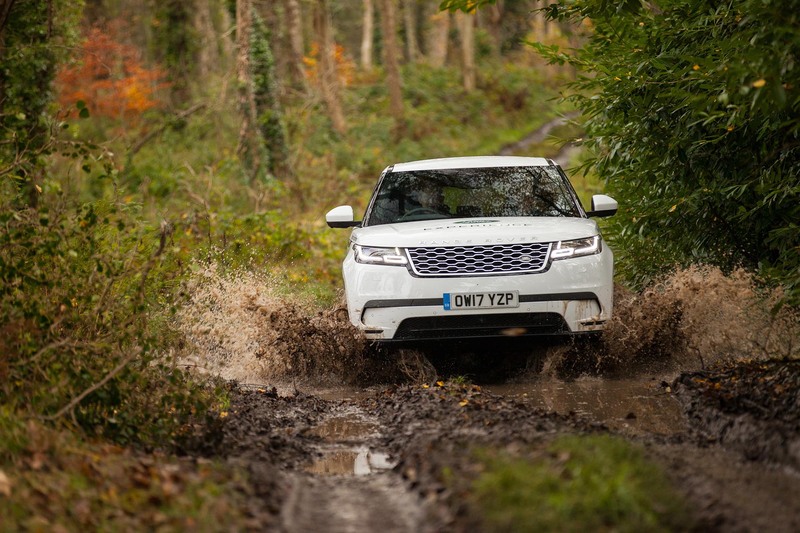 The proven 8-speed automatic gearbox has been further enhanced and fine tuned for the Velar, making it smoother and more precise than ever. 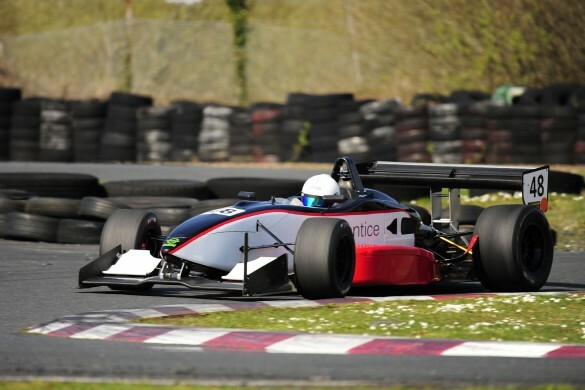 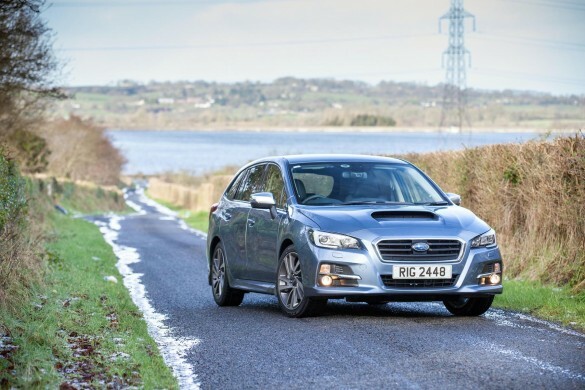 Engine wise, a pair of diesel units are on offer, starting with the reasonably new 2.0L 4cyl turbocharged Ingenium unit producing 180PS whilst a twin turbocharged version is available with 240PS and 0-60mph times for this pairing is a far from sluggish 8.4sec and 6.8sec respectively. 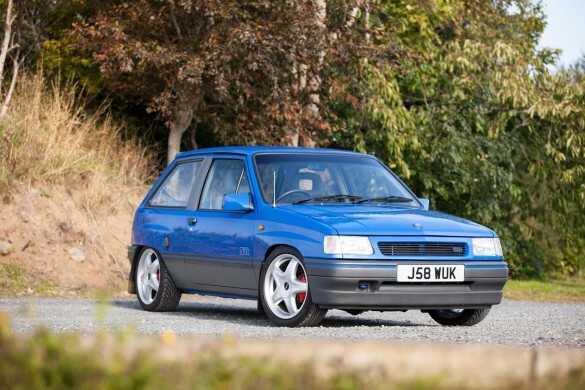 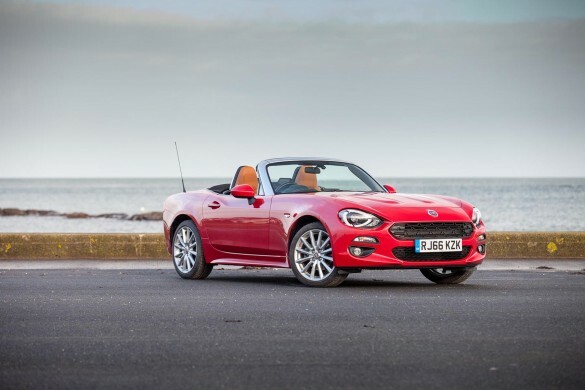 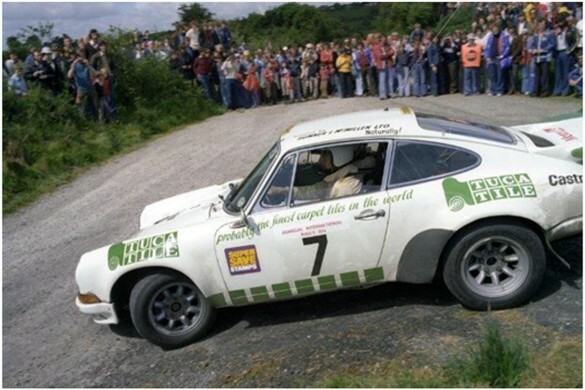 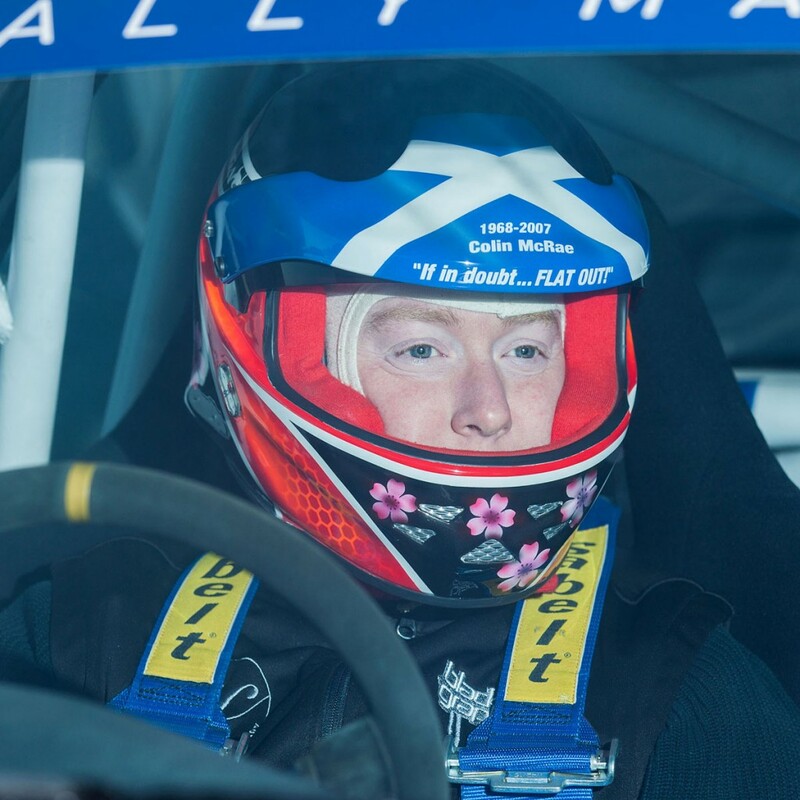 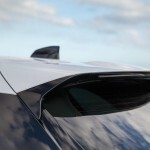 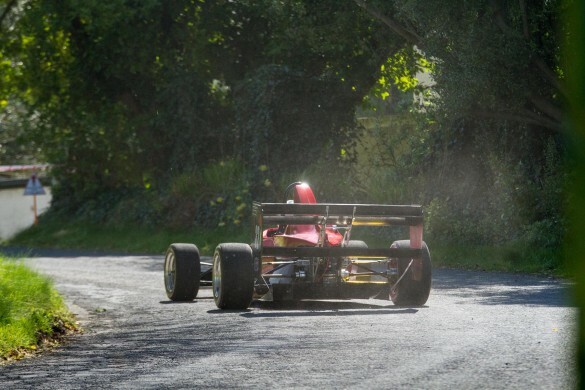 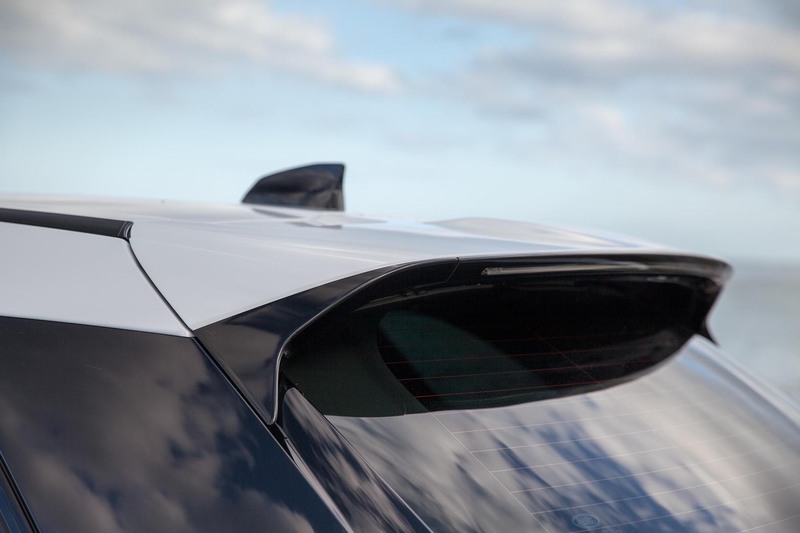 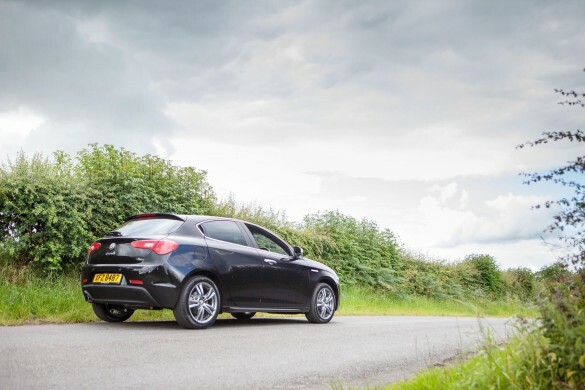 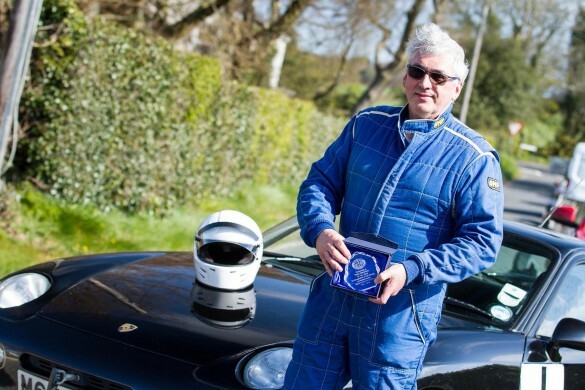 I can see the twin turbocharged Ingenium power-train being a hugely popular choice for the best of performance and economy for those doing big miles. 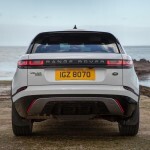 For those who want the sheer grunt of more cylinders however, there is a 3.0L V6 twin turbocharged engine that produces either 275PS or 300PS, both will get to 60mph in less than 7secs. 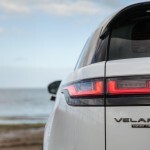 Just a single petrol engine is available in the Velar, a sensible 2.0L 4cyl turbocharged unit, producing two outputs which start with 250ps that will see 60mph in 6.7sec, whilst the gem of the range is the 300PS version which will do a sub-6 sec sprint to 60mph and still return a claimed 34mpg. 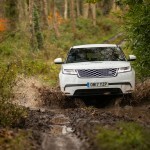 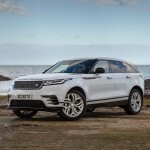 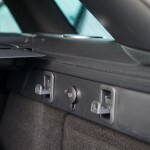 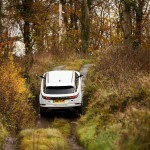 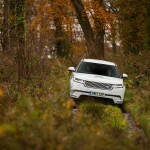 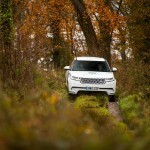 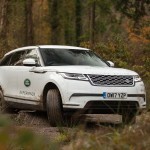 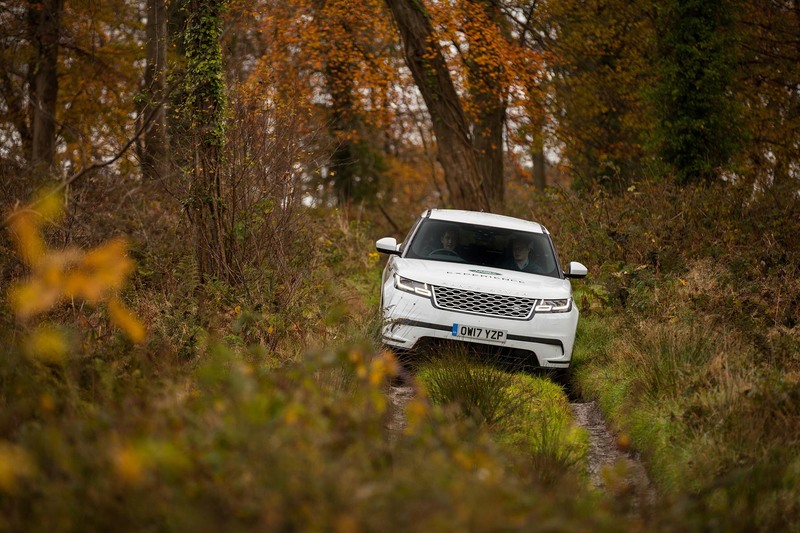 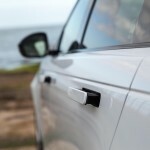 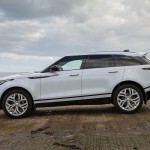 Optional air adjustable suspension enables a lowered access height for those who may be vertically challenged, whilst at the same time, increasing the off-road capabilities when the correct mode is selected and with an optional electrically deploy-able tow-bar in use the velar can cope with up to 2500kg on-tow, meaning a lifestyle that involves equestrian activities, boating or motorsport, won’t be an issue. 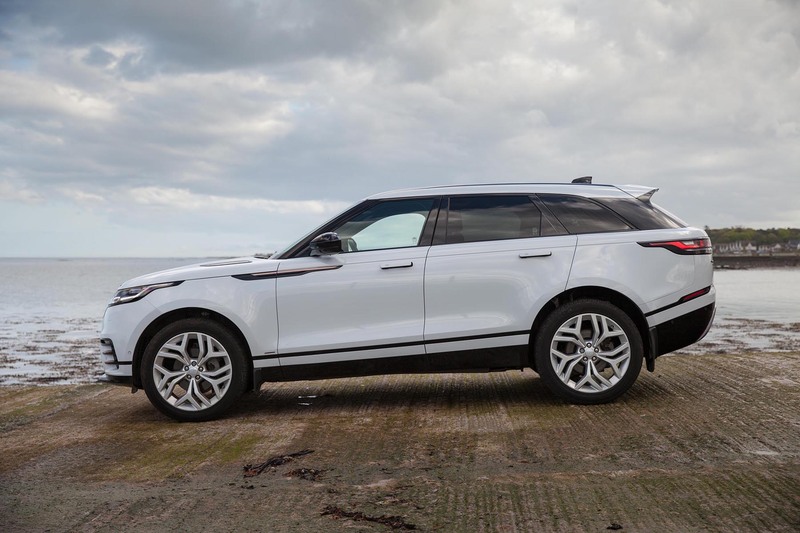 The model range starts from £44,735 with the ‘Velar’ which includes 18” alloy wheels, LED headlamps, key-less entry, rear parking sensors, voice control and a heated windscreen to name a few while the ‘Velar S’ starts from £49,825 and adds 19” alloy wheels, premium LED lighting, electric tailgate, rear camera, navigation pro system, electrically adjustable seating and a 380W Meridian audio system. 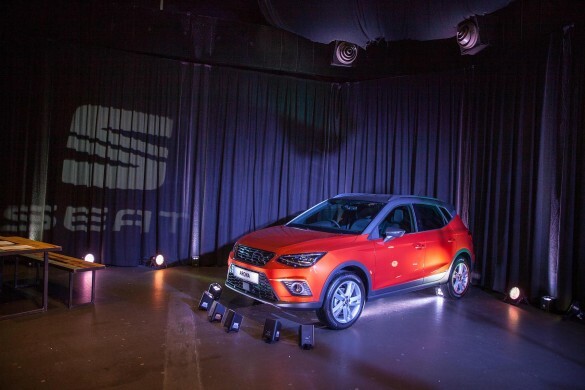 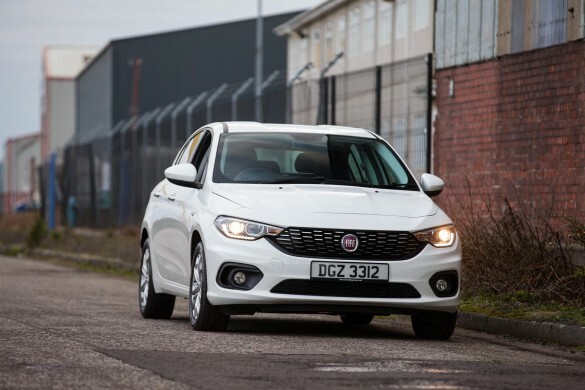 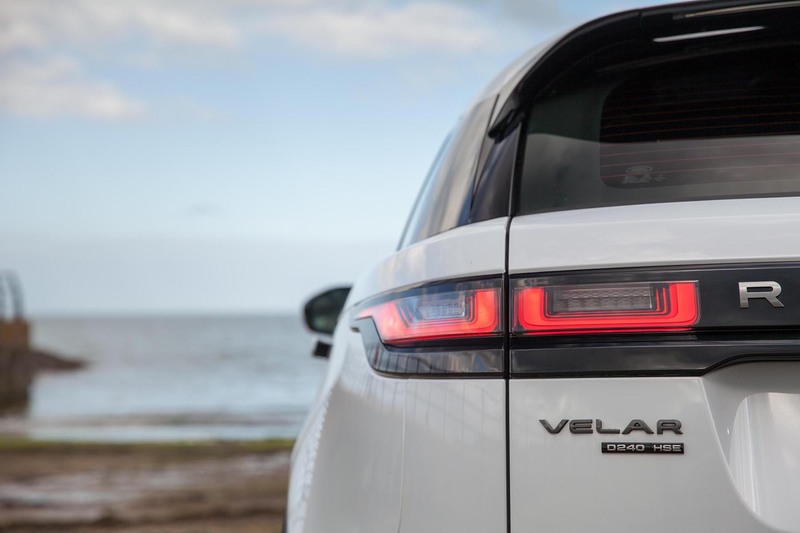 Next up is the ‘Velar SE’ starting from £52,675 which further receives 20” alloy wheels, Matrix LED lighting, 360 degree parking aid, driver condition monitor, bind spot monitor, rear traffic monitor and a 825W Meridian audio system. 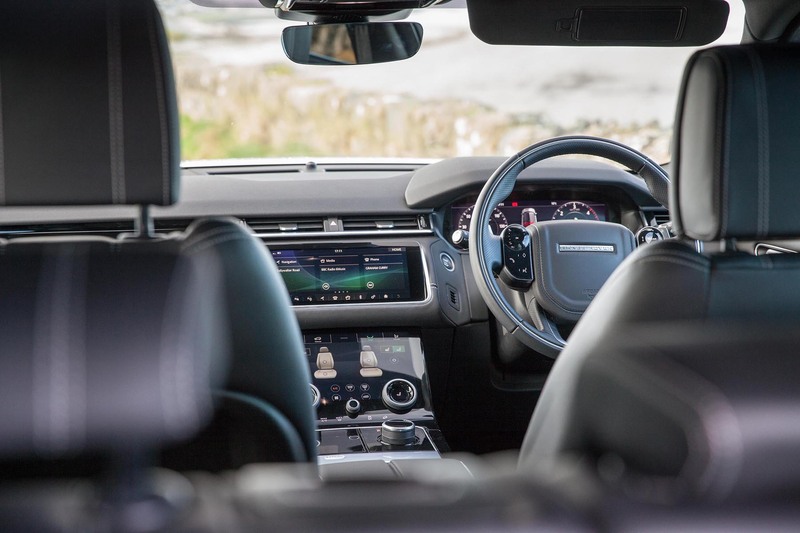 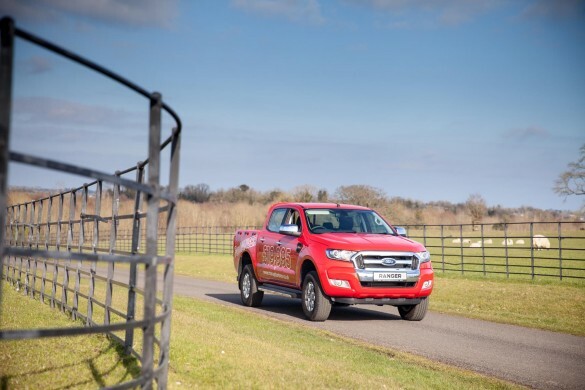 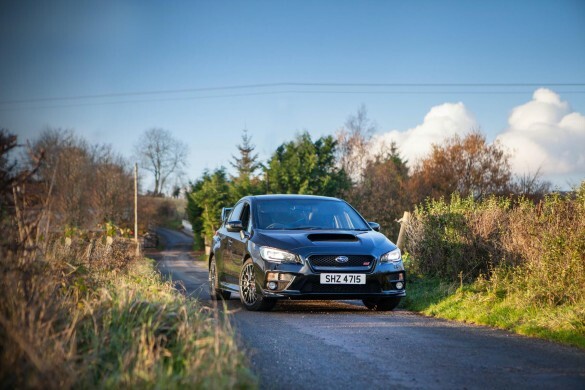 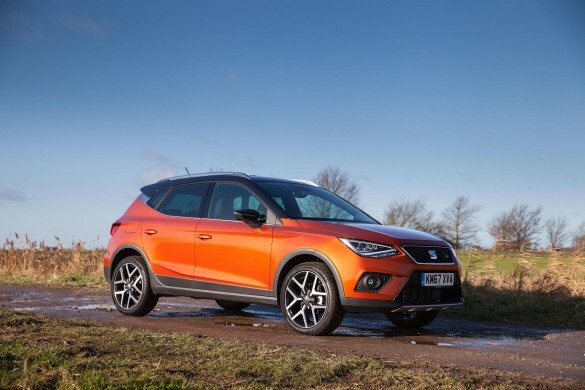 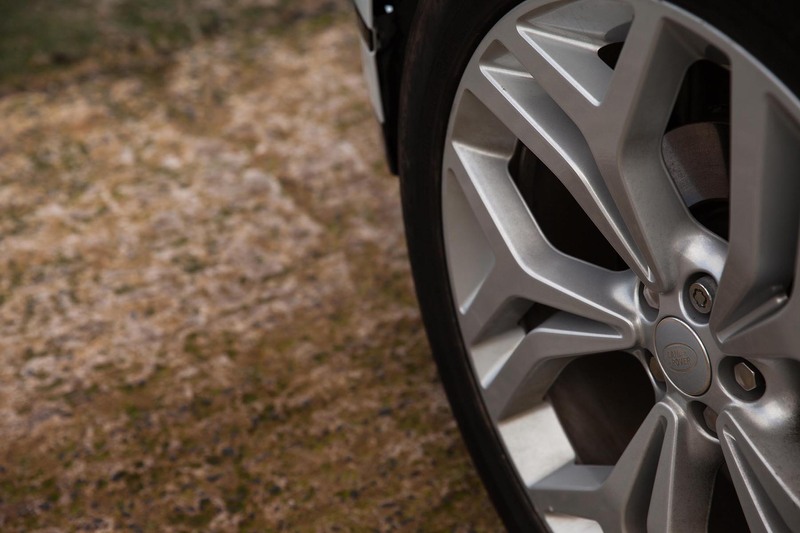 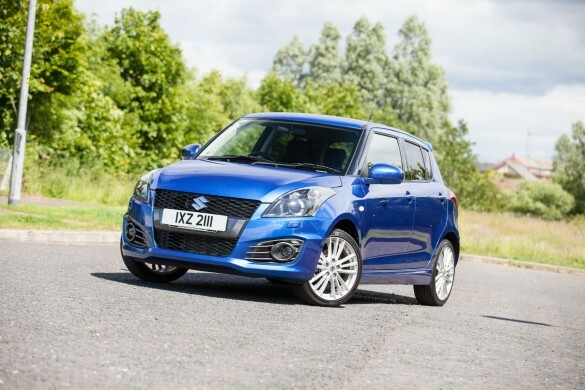 The range topping ‘Velar HSE’ gets 21” alloy wheels, heated and cooled massage seats, lane assist, active cruise control, queue assist, high speed emergency braking, park assists and an extended leather package inside the cabin – this model starts from £58,785. 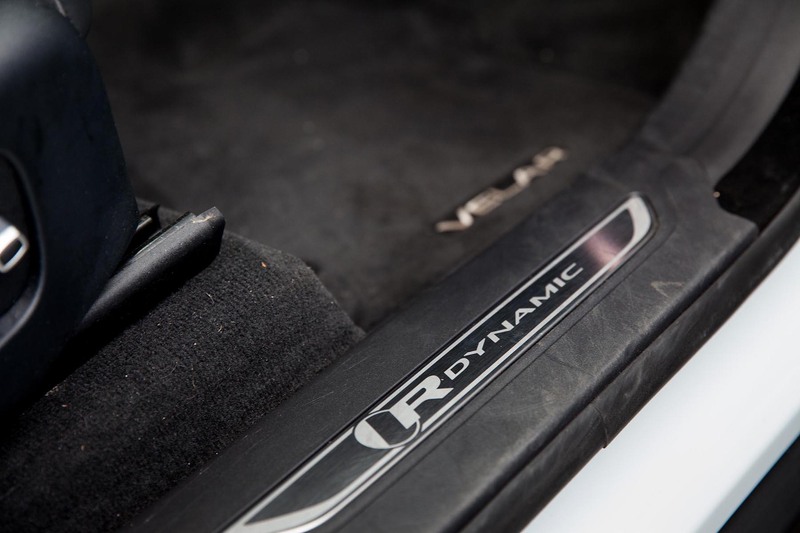 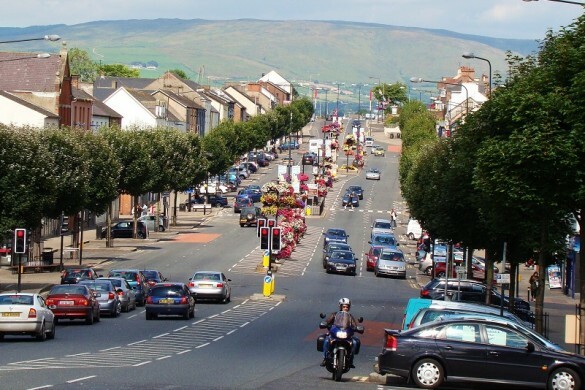 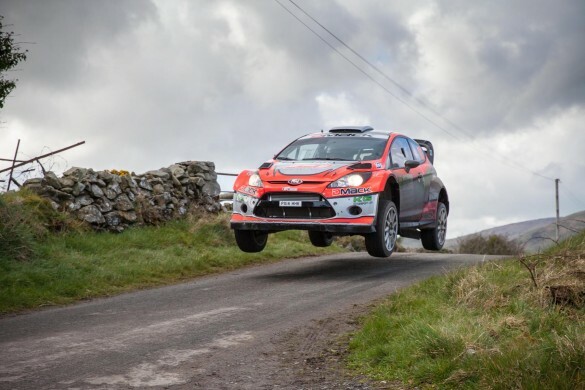 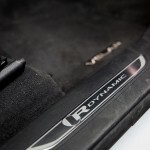 On all but the base model, there is an ‘R-Dynamic’ specification available at around £2,400 extra which adds even more individuality and signature features but I won’t even pretend to know everything it offers over and above – the Belfast sales team are there to help with that. 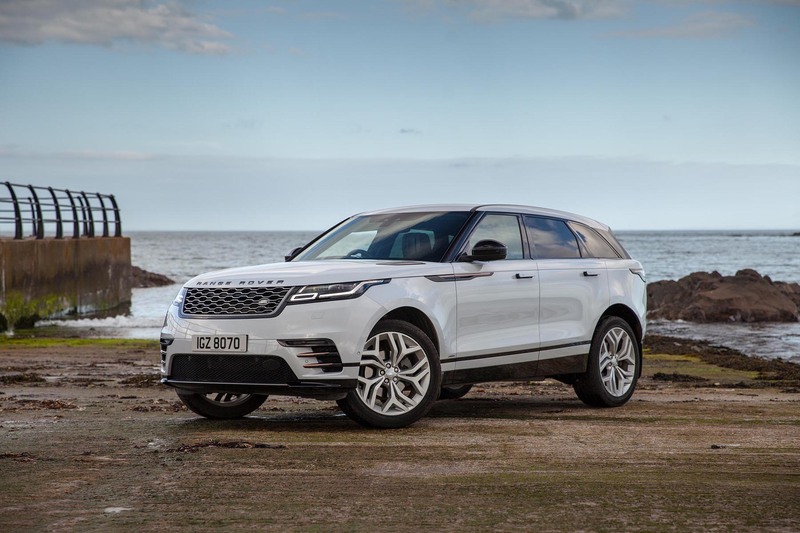 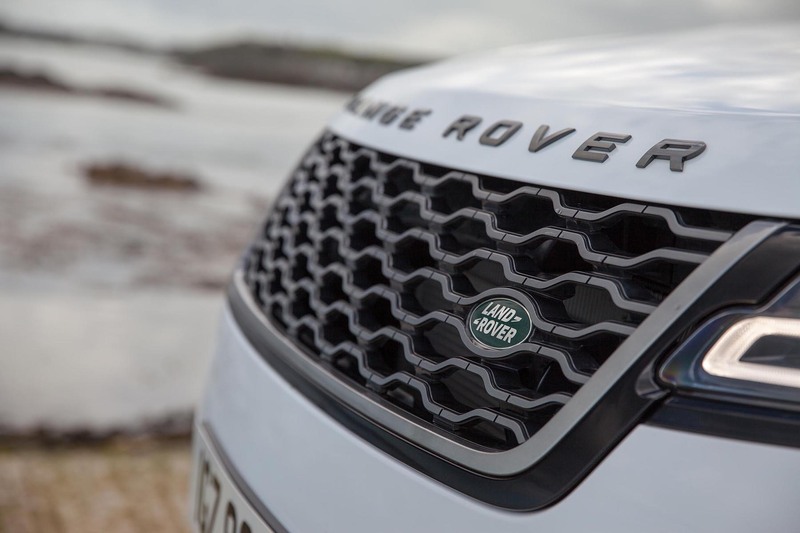 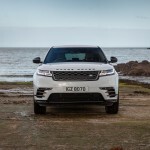 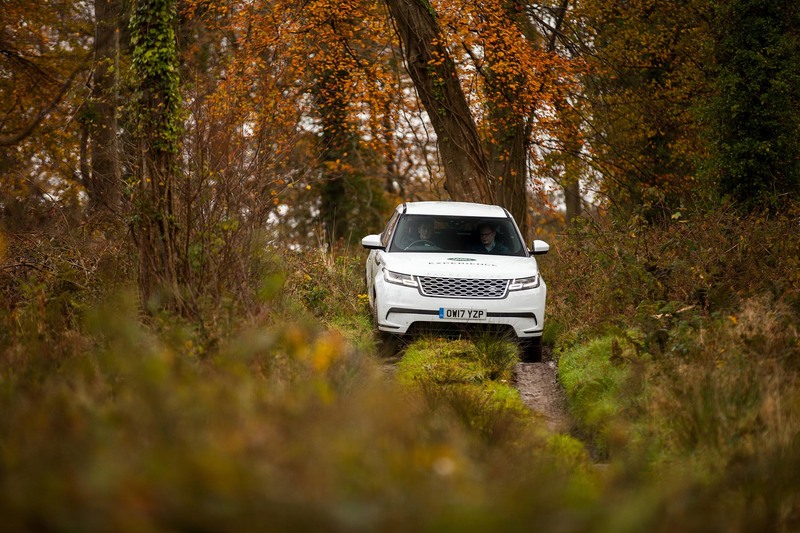 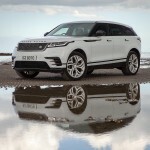 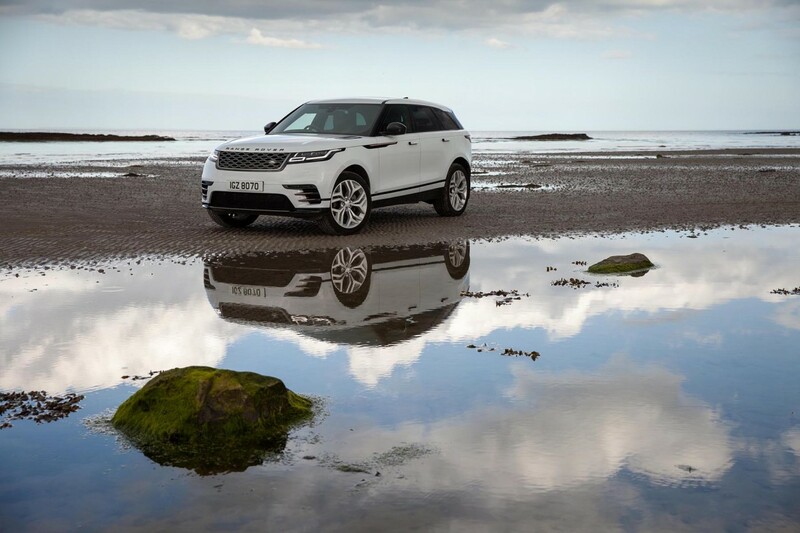 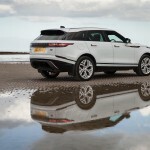 The model tested is the absolute range topping ‘Velar R-Dynamic HSE’ model equipped with the 240PS diesel engine and on the road, over a couple of hundred miles, the Velar proved effortless, comfortable, and a great all-rounder. 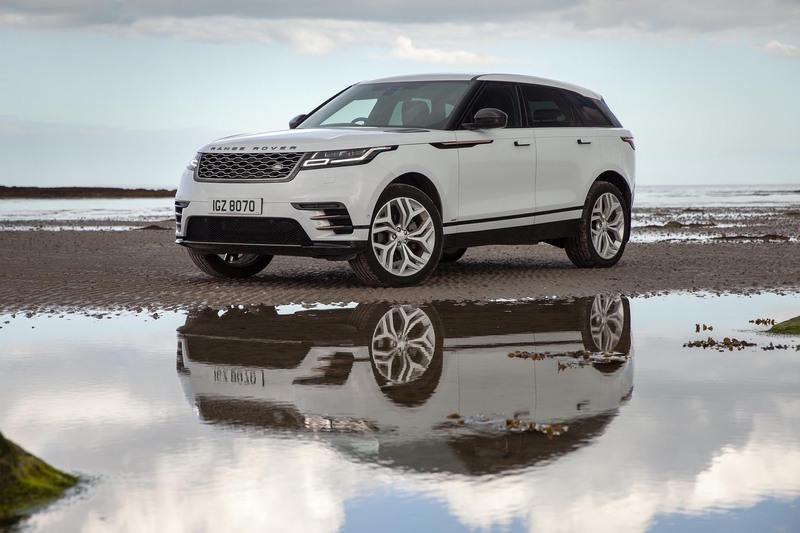 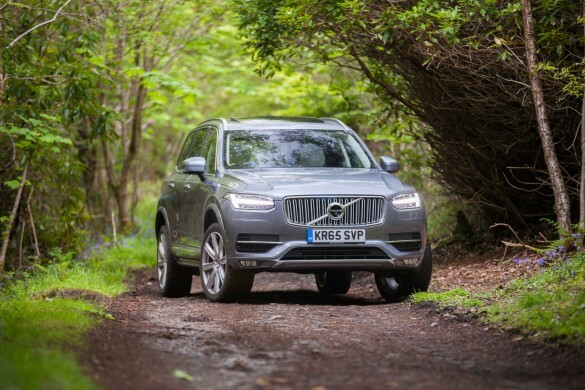 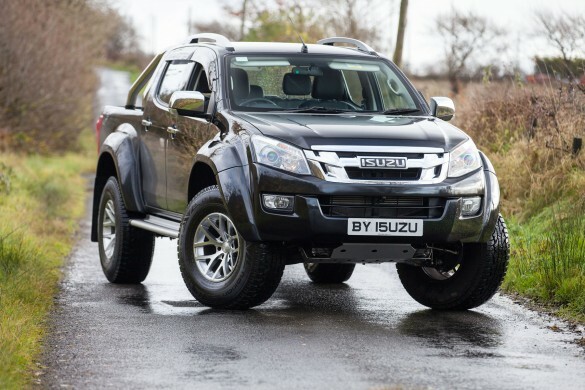 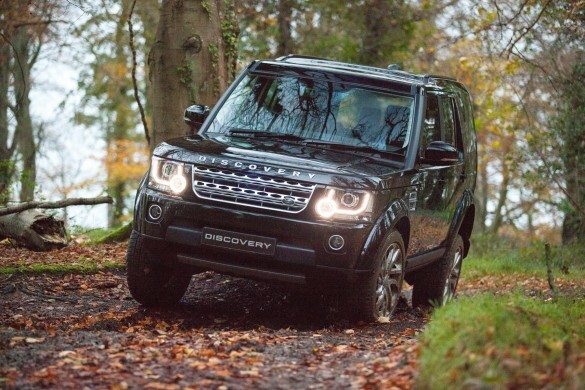 An all-rounder that comes at a bit of a cost though when you take the top of the range spec as tested, alongside somewhat handy options such as the air suspension and electronically deployable tow-bar, as well as maybe the V6 diesel engine, you’re well into the wrong side of £70,000. 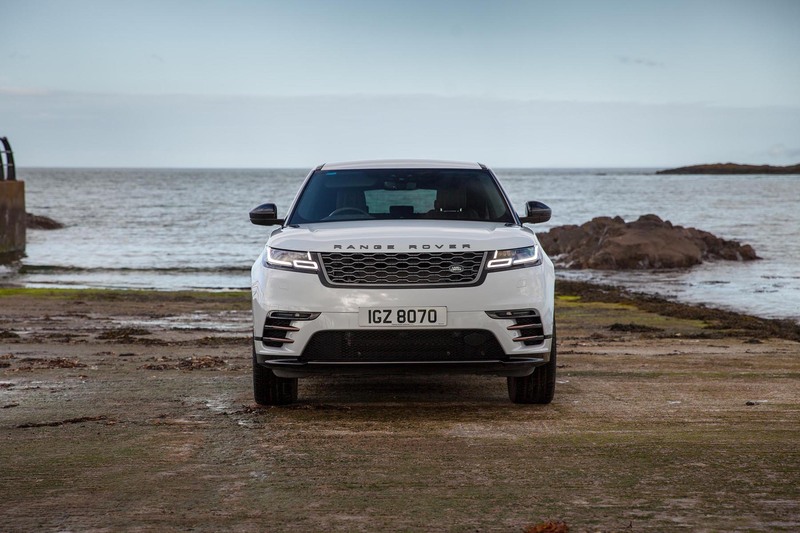 Overall however, the Velar has the looks and capabilities to make it worthy of those large letters across the front of the bonnet.